If you purchase your wine cabinet from Le Cache, you may cancel your order for any reason and receive a full refund provided that your order has not been shipped. If you want to cancel your order, please call Customer Service at 1.877.532.2243. If you purchase your wine cabinet from an authorized dealer, please refer to that dealer's cancellation policy for more information. 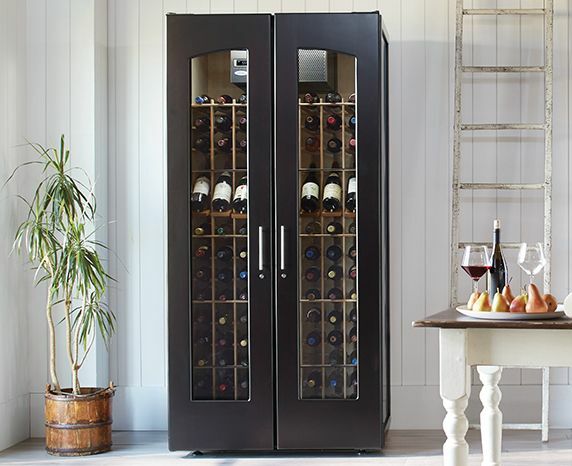 If you purchase your wine cabinet from Le Cache and you are not completely satisfied with your purchase, you may return it within 30 days for an exchange, refund or credit. To initiate a return, please call your dealer, or if you purchased your wine cabinet directly from Le Cache, call us at 1.877.532.2243. Merchandise must be returned in new condition and in original packaging with a copy of your receipt. You are responsible for arranging the return shipment and all associated charges. We recommend that you insure any returns for freight damage. Unless the wrong item was shipped, shipping charges will not be refunded. If you purchase your wine cabinet from one of our authorized dealers, please refer to that dealer's return policy for more information. All returns are subject to a 25% restocking fee. If the returned wine cabinet is damaged, we reserve the right to deny a full refund of the purchase price. Please insure your return in case of freight damage.